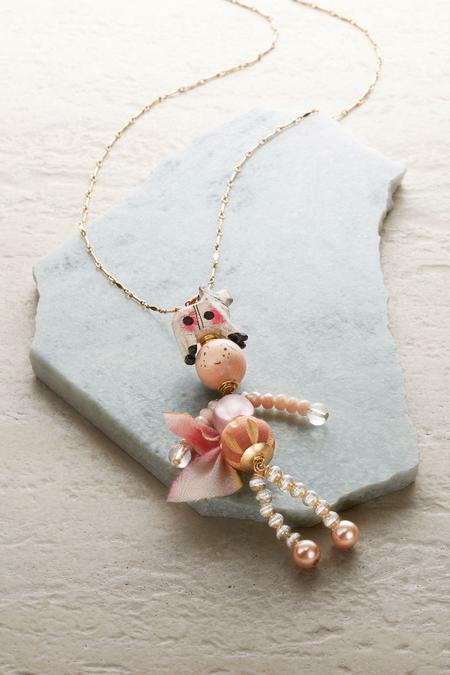 The cute little missy in this necklace won't go anywhere without her cow companion-and you won't want to go anywhere without them both! Created of wood and glass beads, glass pearls and silk ribbon and suspended on a decorative gold chain. A little different, a lot of fun.